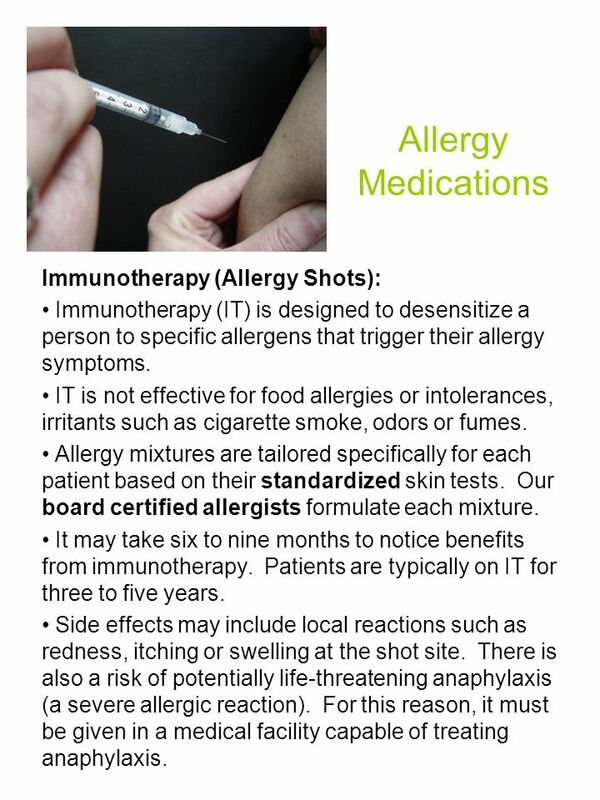 Immunotherapy (IT) is designed to desensitize a person to specific allergens that trigger their allergy symptoms. 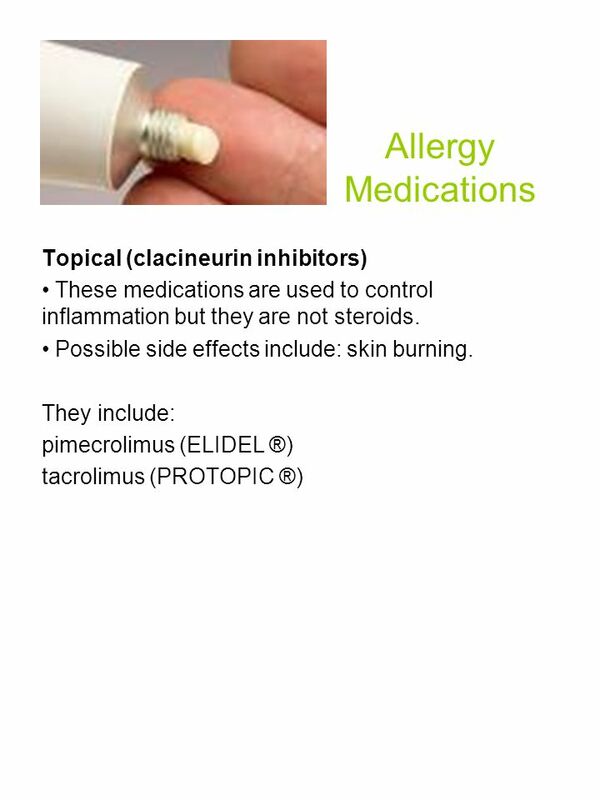 IT is not effective for food allergies or intolerances, irritants such as cigarette smoke, odors or fumes. 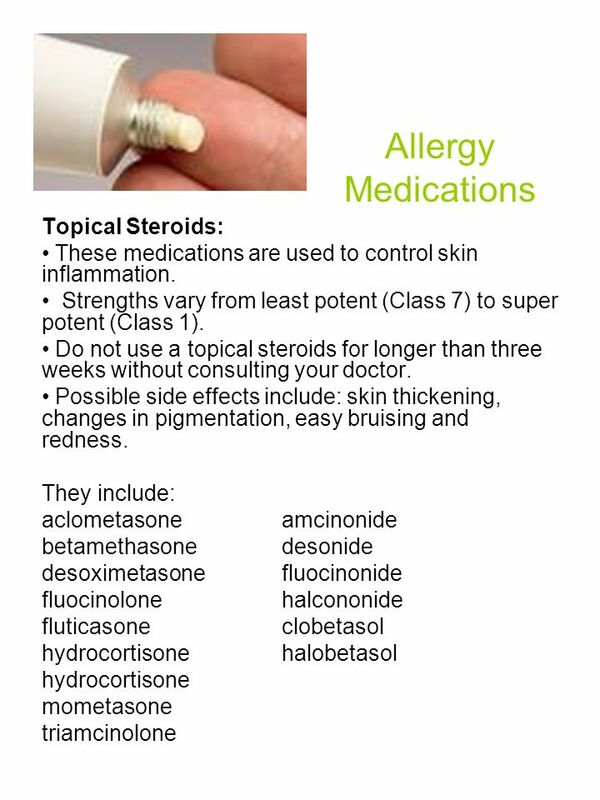 Allergy mixtures are tailored specifically for each patient based on their standardized skin tests. 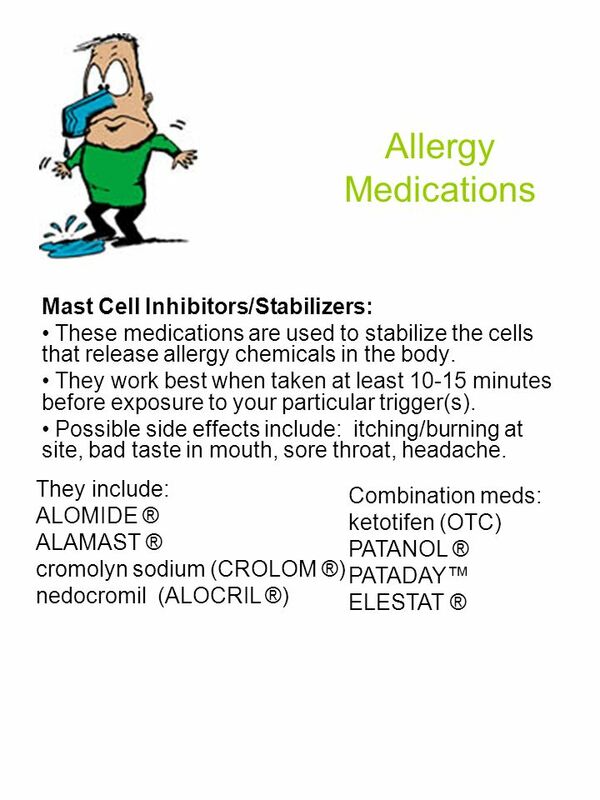 Our board certified allergists formulate each mixture. It may take six to nine months to notice benefits from immunotherapy. Patients are typically on IT for three to five years. Side effects may include local reactions such as redness, itching or swelling at the shot site. 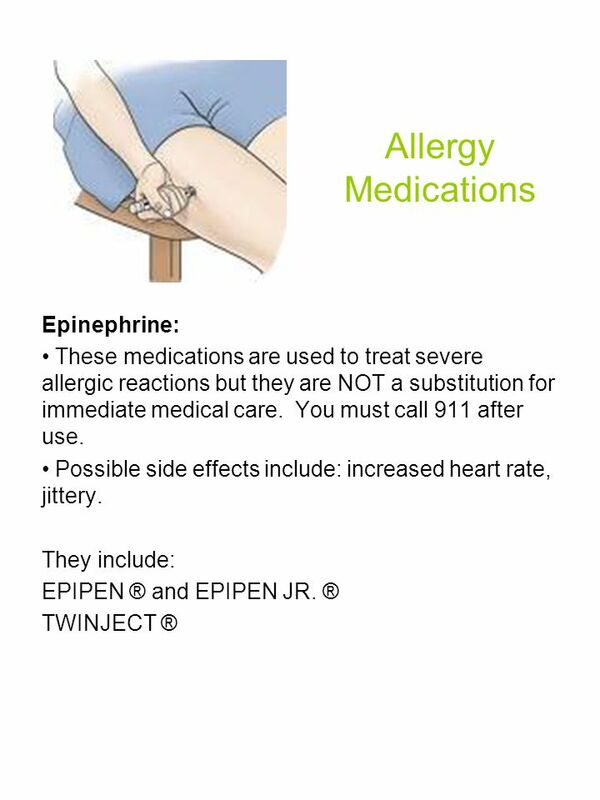 There is also a risk of potentially life-threatening anaphylaxis (a severe allergic reaction). For this reason, it must be given in a medical facility capable of treating anaphylaxis. 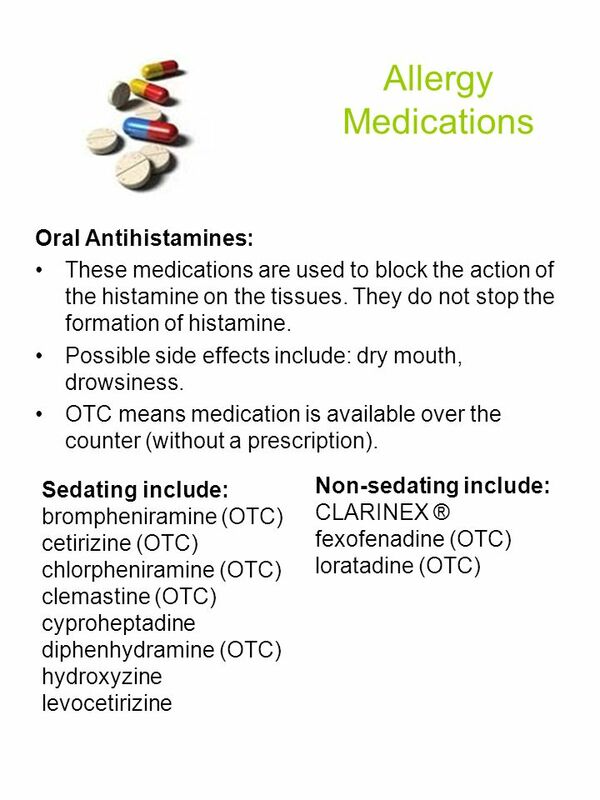 Download ppt "Allergy Medications Oral Antihistamines:"
Allergic Rhinitis Kirk H. Waibel CPT, MC Walter Reed Army Medical Center. 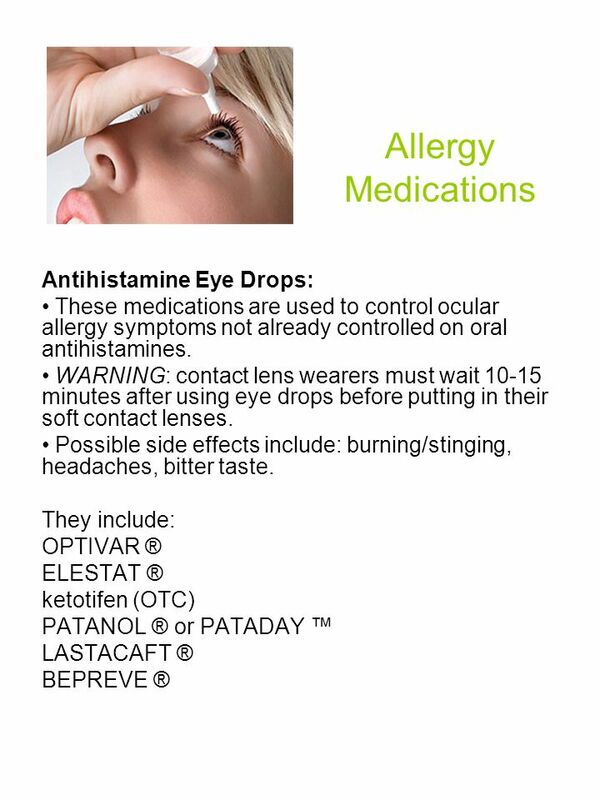 Seasonal Allergies: Antihistamines & the Future Jacquelyn Covarrubias CHEM 5389 April 24, 2007. Rhinosinusitis Sinusitis Sinusitis affects 31 million Americans annually. Chronic sinusitis is defined as unrelenting symptoms >12 weeks in duration. 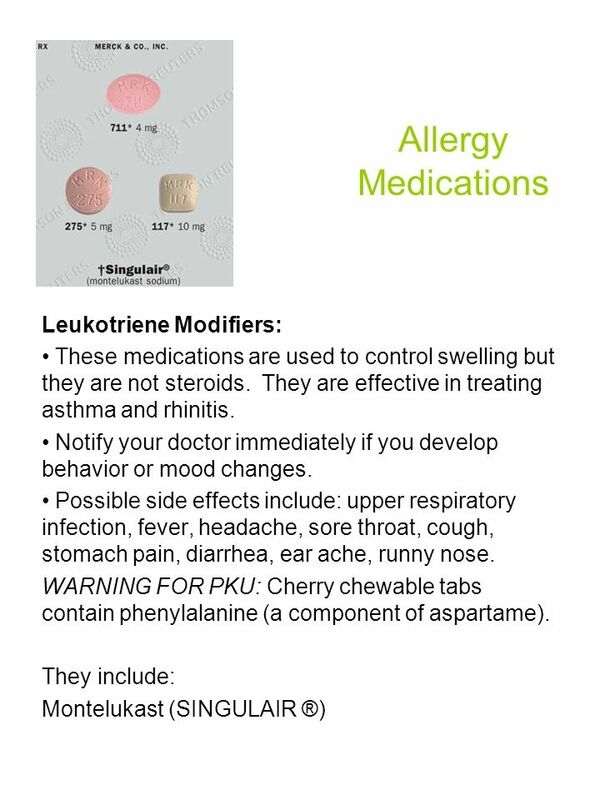 Copyright © 2013, 2010 by Saunders, an imprint of Elsevier Inc. Chapter 77 Drugs for Allergic Rhinitis, Cough, and Colds. 1 Chapter 7 Respiratory Drugs. 2 Ventilation  Refers to the movement of air in and out of the lungs through a series of air passages.  Nose  Mouth. 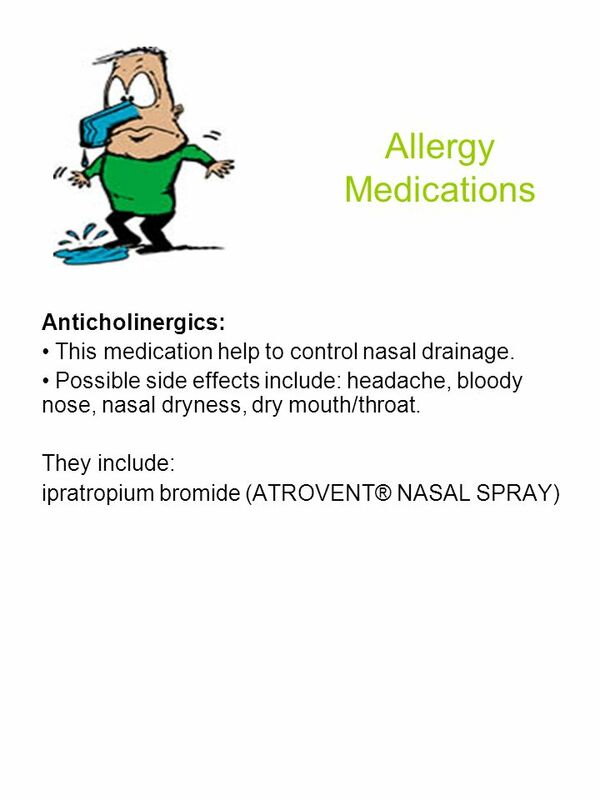 Difficulties in showing a dose- response with locally-acting nasal sprays and aerosols for allergic rhinitis Badrul A. Chowdhury, MD, PhD Medical Team. ©2013 Children's Mercy Hospitals and Clinics. All Rights Reserved. 01/13©2013 Children's Mercy Hospitals and Clinics. All Rights Reserved. 03/13 1 Something. 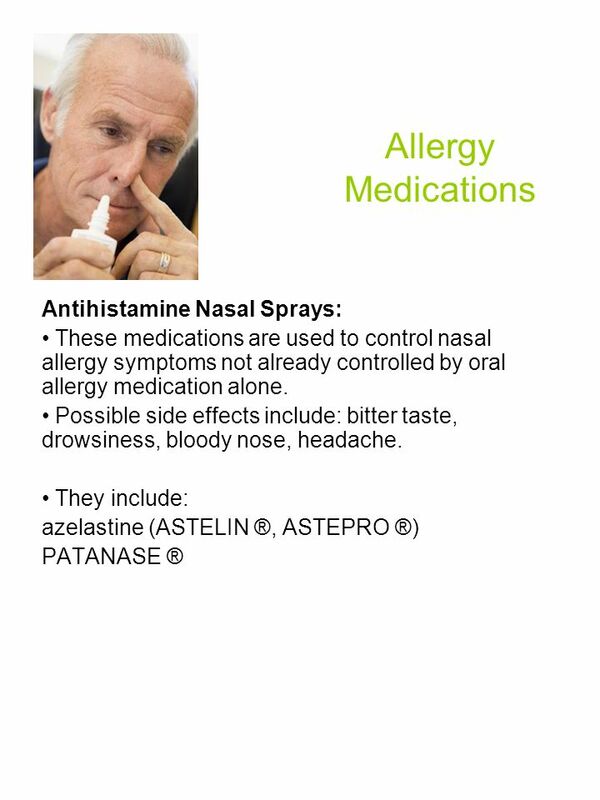 Chapter 14 Antihistamines and Nasal Decongestants. 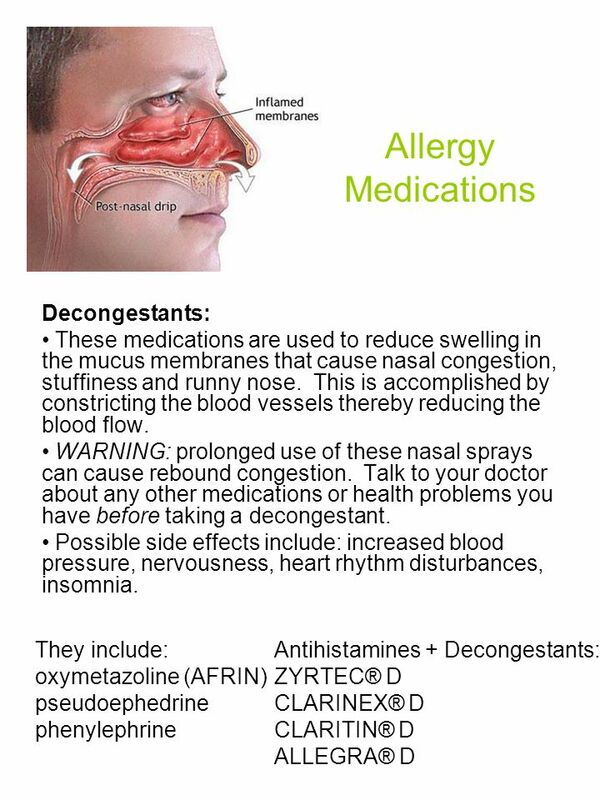 Antihistamines and Nasal Decongestants. 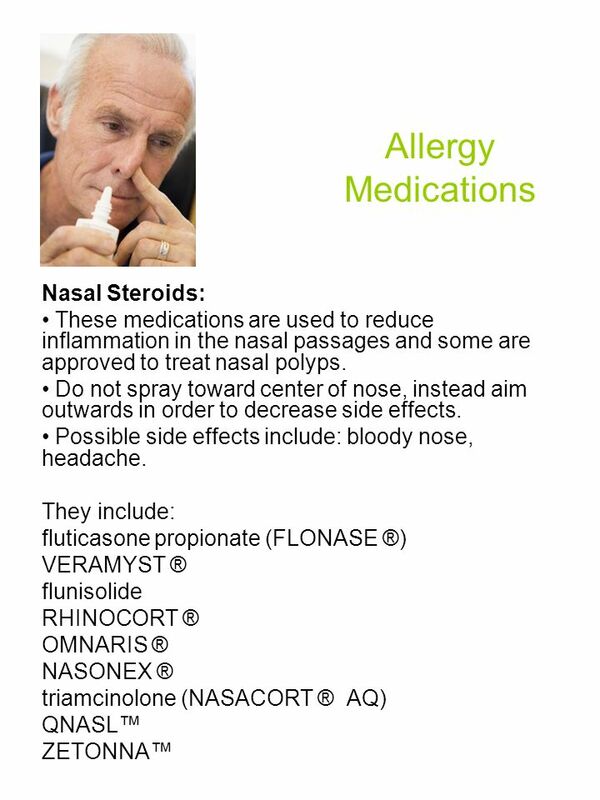  Allergic Rhinitis  Environmental allergens -> inflammation  Sinusitis  Middle ear infections  Upper Respiratory. Meds for Your Head- Navigating the Choppy Waters of Rhinorrhea and Other Such Dilemmas Michele D. Massow RN MSN FNP-BC CarePointe Ear, Nose, Throat & Sinus.